Ondine is a Seafood and Shellfish restaurant in the heart of Edinburgh just past the Royal Mile that has now become my favourite fish restaurant in the city. Ondine was the perfect place to rediscover my utter love for seafood. Everything I ate was freshly caught no less than hours before AND every single thing on each plate boasted only the best flavours from the local produce. The restaurant pride themselves on providing 'proper seafood' and that's exactly what they deliver. The food presented is serious and the attitude from the staff and their passion to explain minute details from where it was caught, and who caught it to everything about the seafood itself is admirable and made me feel comfortable that this wasn't just another seafood restaurant. We were introduced to the Spring menu preview and talked through each dish briefly before the meal began to which they proceeded to discuss the dish individually prior to each course being served. The menu was five courses which I was slightly concerned about being a bit overwhelmed by the seafood but I was totally proven wrong. Each course was delicately put together and proportions were just enough. 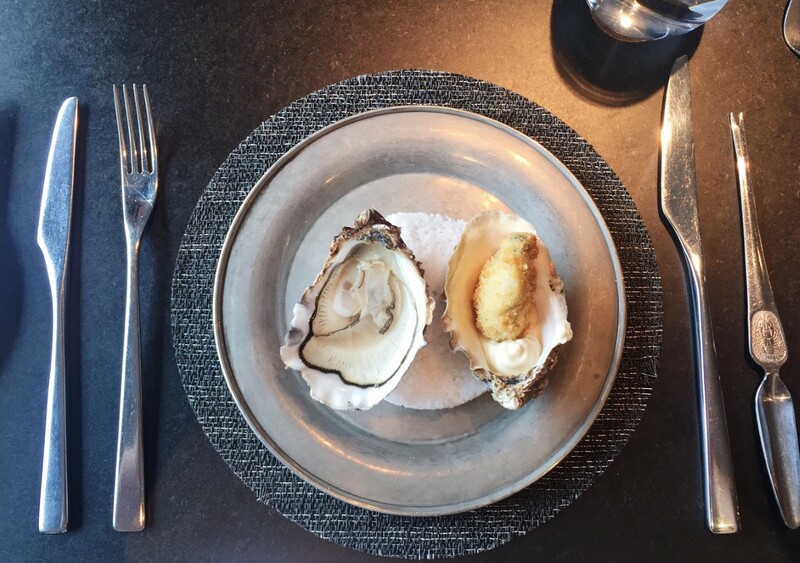 We started with Oysters from Cumbria; one of which was served traditionally fresh and the other was crispy and served with a light mayonnaise. Both were light and a taste of the sea really came through. Colin the restaurant manager explained to us when and where the Oysters were caught as well as why they chose Oysters from this region. It was a nice touch from the restaurant to be able to leave with new knowledge about each dish. 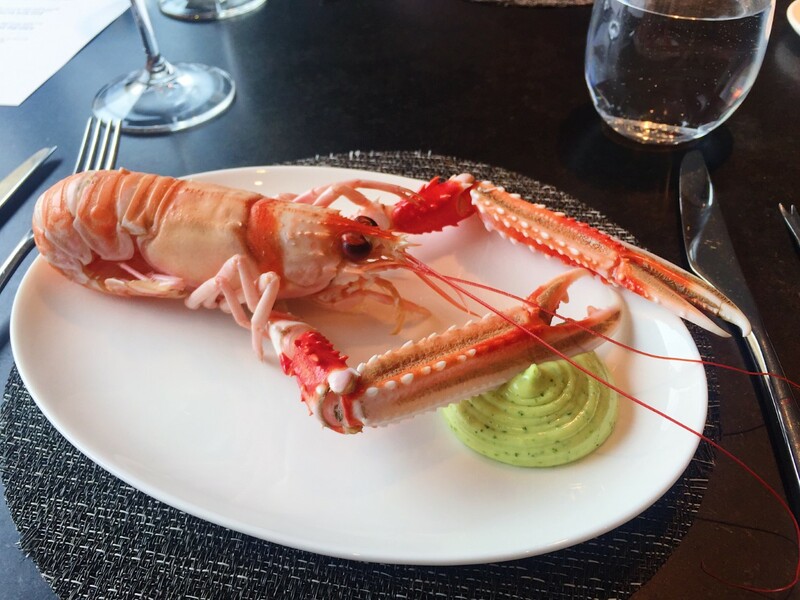 Next we were served Skye Langoustines accompanied by a wild garlic mayonnaise which was so creamy it married well together with the freshness of the fish. The langoustines were difficult to eat as we had to break apart the shellfish ourselves which turned out to be quite messy. Although obviously provided with all the correct materials to do so adequately I would have preferred not to do this as it took time. I could understand why they were served like this to maintain freshness and their mantra. 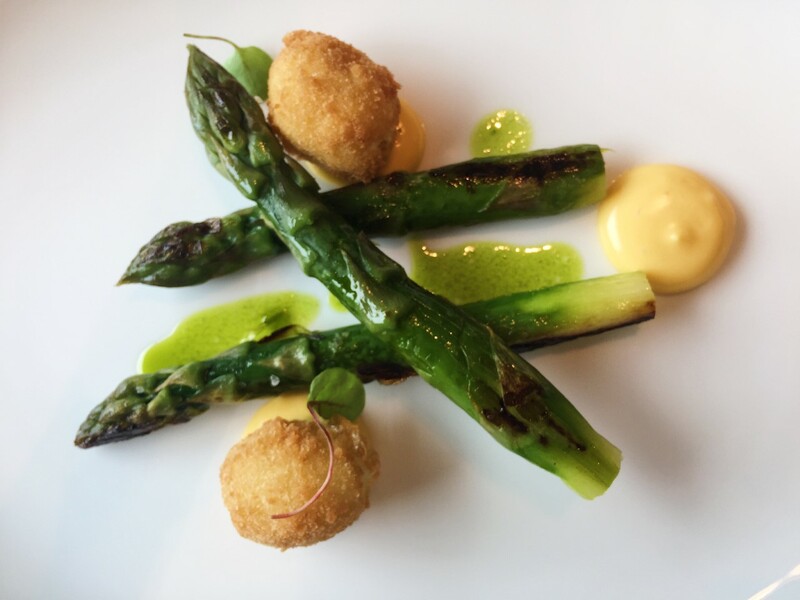 A palette cleanser of Grilled Wye Valley Asparagus was served with crispy quails egg and a hollandaise sauce was next. Simple, fresh, tasty and easy to eat.The flavours spoke for themselves with no fuss. The wine served was a Rioja Blanco from Spain that shared tastes of coconut and mint. Although, yes this sounds weird on paper it was honestly one of the nicest and freshest wines I've ever had. Roasted North Sea Cod followed which was served again with crispy asparagus and romanesco. 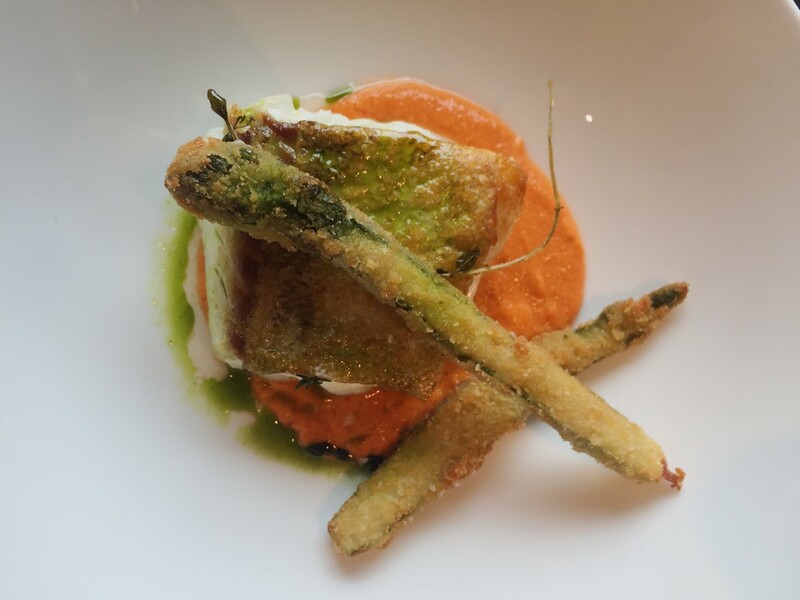 The dish was vibrant with the green coming through against the bold orange. Although the cod was cooked beautifully and flaked like a dream I would have preferred a crispier skin. Flavours were bold and with a bit of heat it brought the dish together. Accompanied by an Alberinio wine, the crisp and dryness of the wine was perfect against the heat from the fish. 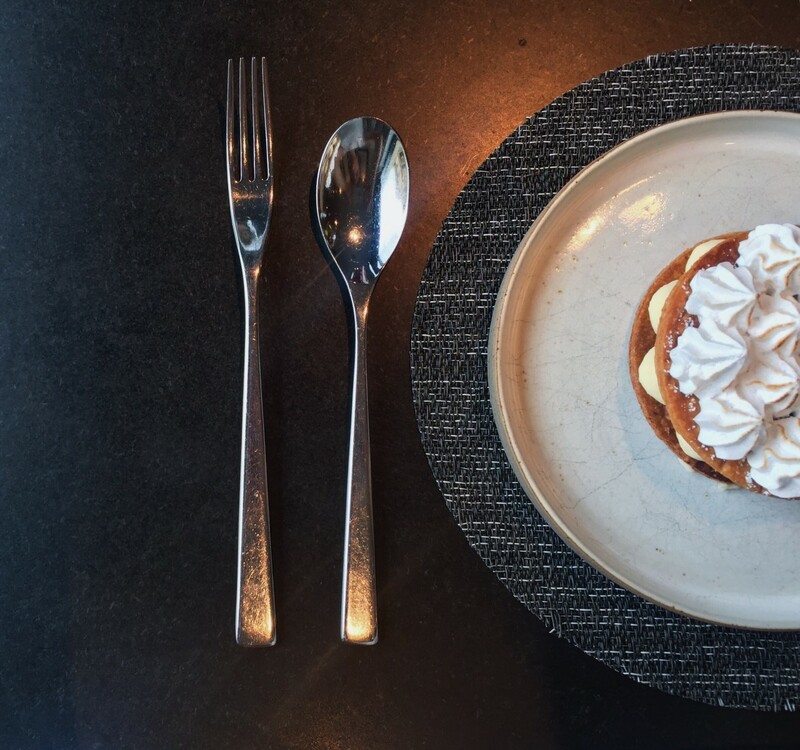 The dessert was lemon meringue Mille Feuille (which can I say is my favourite dessert when done perfectly). I won't lie when I saw it on the menu I was slightly worried that this was going to be the make or break moment for me. The lemon was vibrant, the meringue was fluffy and the pastry made a crack Mary Berry would be proud of. Although it was perfectly made, it was a heavier dessert than I would have chosen to end the meal. The wine was a Mondazillac Jour de Fruit from France which was effortlessly light and perfect against the zesty lemon and sharp sweetness from the meringue. 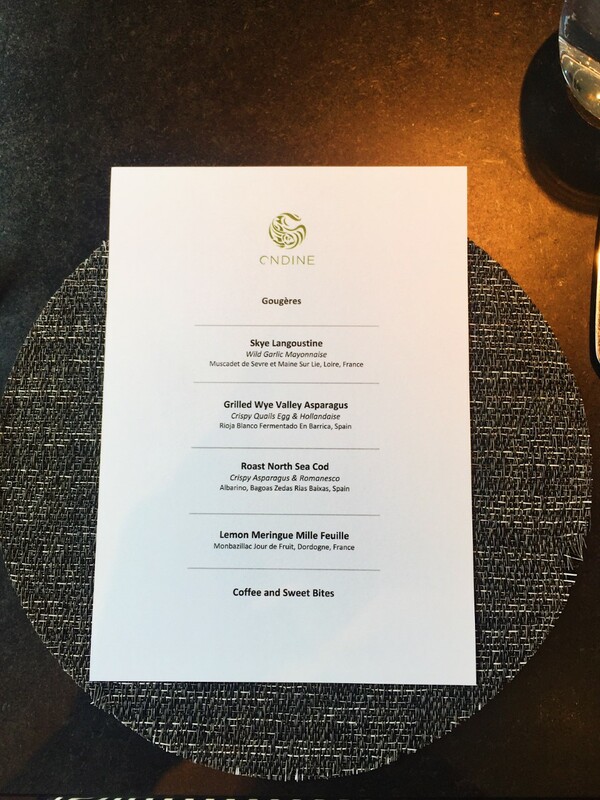 If you ever get a chance to make a trip to Ondine whether it be for a tasting menu, a special occasion or to visit for their famous 'Oyster Hour' then please do. It's the kind of place you can roll your sleeves up and get involved with every dish you choose. Even if your'e not a massive fish lover, you'll only leave with a smile on your face and a full tummy. Expect nothing less than freshly caught seafood and shellfish, local produce and exceptional service.